Dizzee Rascal waves at 16,000 fans filling the Jingle Bell Ball arena. 25. 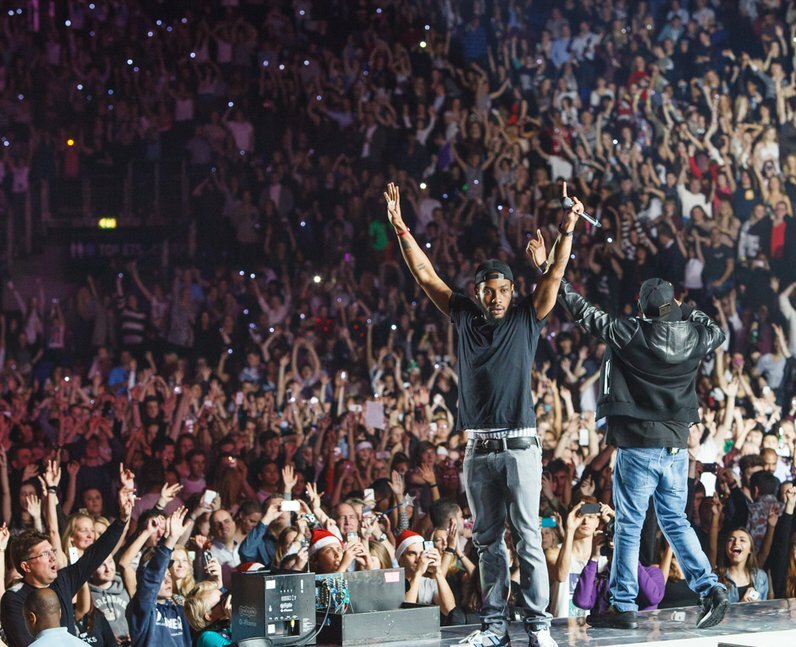 Dizzee Rascal waves at 16,000 fans filling the Jingle Bell Ball arena.